Unless your job requires you to do so, you probably don’t spend most of your time thinking about car accidents. That’s a good thing, because we shouldn’t live our lives in fear all the time. But that doesn’t mean we should completely ignore the possibility of a car accident. 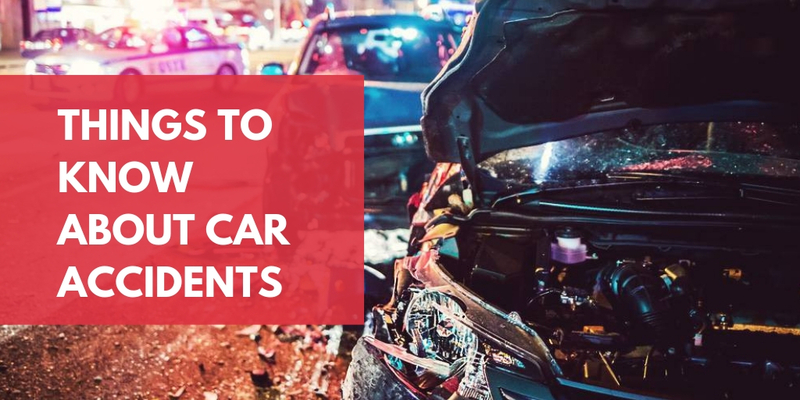 While there’s no need to obsess over the issue, there are a few things that each of us should know about car accidents. Unfortunately, the first thing that we need to know about car accidents is that they are very common. The good news is that some car accidents are very minor, but the bad news is that a typical driver is virtually guaranteed to be involved in one someday. If you’re lucky, your accidents will be tiny ones, like a bump against a shopping cart in the parking lot, a fender-bender in traffic, and so on. But not all car accidents are like these. Some are deadly, and over 40,000 people are killed annually in such accidents. To an extent, luck is a factor in avoiding such a fate. But that’s not to say that there’s nothing we can do to help ourselves. The most serious car accidents don’t happen purely by chance in many cases. There are things that we can do to limit our risk, which brings us to the next thing that you need to know about car accidents. What do all car accidents have in common? Simple: they’re the results of human choices. Sometimes those choices happen in the moment and clearly cause the accident — maybe a driver is speeding, or takes an ill-advised left turn and cuts someone off. But, at other times, the decisions are made earlier. When a driver chooses to drive drunk, for instance, their chances of an accident skyrocket the moment they get behind the wheel. And you can also increase or decrease your chances of getting into an accident through the decisions you make in the maintenance and repair of your vehicle. A well-maintained vehicle is a safer vehicle, according to experts at a top automotive & diesel technology college in NY. When the risks of failures and breakdowns are lower, your vehicle will respond better to your safe driving. Unfortunately, your powers have limits. No matter how hard to you work to lower your risk of an accident, there’s a chance that you will someday be involved in one. That’s because you can’t control for other people’s negligence. When another driver makes a negligent mistake on the road and causes an accident, it could be you who ends up paying the price. You could end up with a serious injury that costs you huge amounts of money in hospital bills, rehabilitation, and lost income from work. That’s deeply unjust, but you have options. A personal injury lawsuit is a legal option that exists precisely to help people in situations like the one described above, according to the personal injury firm Avrek Law. If you are suffering personally and financially because of someone else’s negligence, you should reach out to an attorney right away. A good attorney can lay out your options, and you may be able to file a personal injury lawsuit. A settlement or court award could make you financially whole again, covering medical bills and more and protecting you from ruin.